Tourists can’t help but look up when they visit new and interesting places. 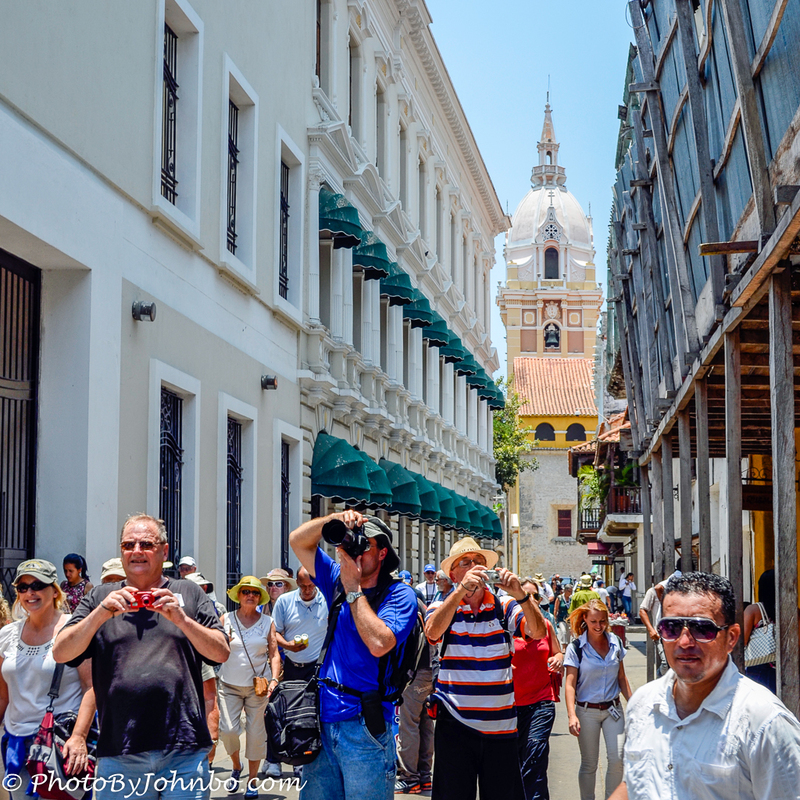 These photographer tourists are checking the skyline in Cartagena, Colombia with an eye toward some interesting architecture. Hopefully they will turn around to note the grand cathedral behind them. It is officially known as the Metropolitan Cathedral Basilica of Saint Catherine of Alexandria. This week, Patti Moed challenges us to look up and share our view from below. You can read the entire challenge post here. In a few months, I plan to revisit Cartagena as we head through the Panama Canal on an upcoming cruise. There is much more to view when looking up in the famed walled city that was my first and only visit (so far) to the South American continent. Much closer to home, Nashville surprised me with the city’s collection of tall buildings. 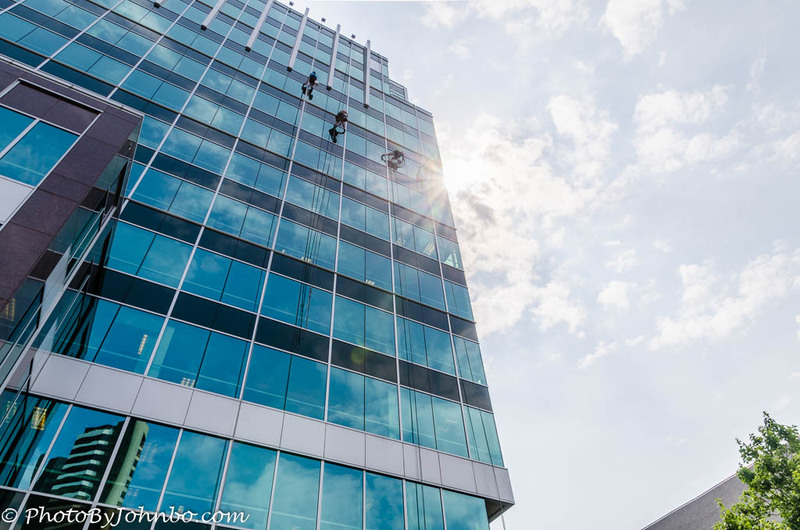 Just down the street from the Ryman Auditorium, original home of the Grand Ole Opry, a high-rise building gets a scrubbing from a team of window washers. They can have that job, thank you very much! In the Cathedral of Saint Joseph at Sioux Falls, South Dakota, the Stations of the Cross are sculpted in the walls, but look up from the outside aisles to see some beautiful stained glass windows and gorgeous chandeliers. The wooden structure on the right is the confessional. 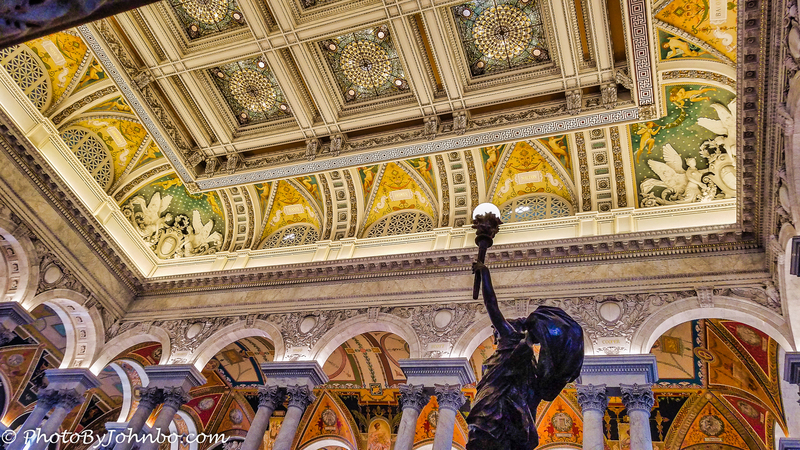 I think the most beautiful interior view that I have ever seen I found in the Library of Congress in Washington, DC. This view from the floor of the Great Hall is but one area from which you can enjoy the architectural details in the ceiling. 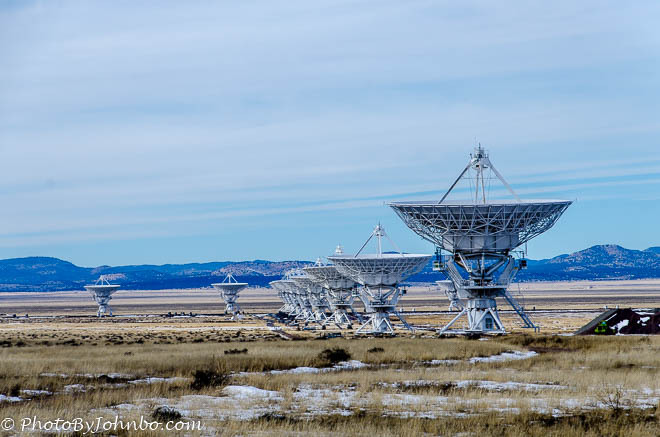 I conclude this week’s challenge response with a view of several of the components in New Mexico’s Very Large Array, a 27-dish complex that continually looks up to the heavens above. The array is one of the world’s largest radio telescopes. Covering several miles of the New Mexico high plains, technicians can reposition the dishes via railroad tracks allowing the array to focus on different parts of the universe. Thanks again to P. A. Moed and all the other creators of the Lens-Artist Challenge. I look forward to sharing my take on the topic of the week every Thursday. This post is number 13 in the series. I am looking forward to many more. Great post John! I’m jealous of your Panama Canal adventure!! I hear it’s really fascinating. And the array at the end is amazing! Thanks! We are looking forward to the canal cruise. Only three of the stops, Puntarenas, Cartagena and Cabo San Lucas were visited on our first trip through the canal. We will visit two new countries and three new cities (to us, obviously) on this trip. 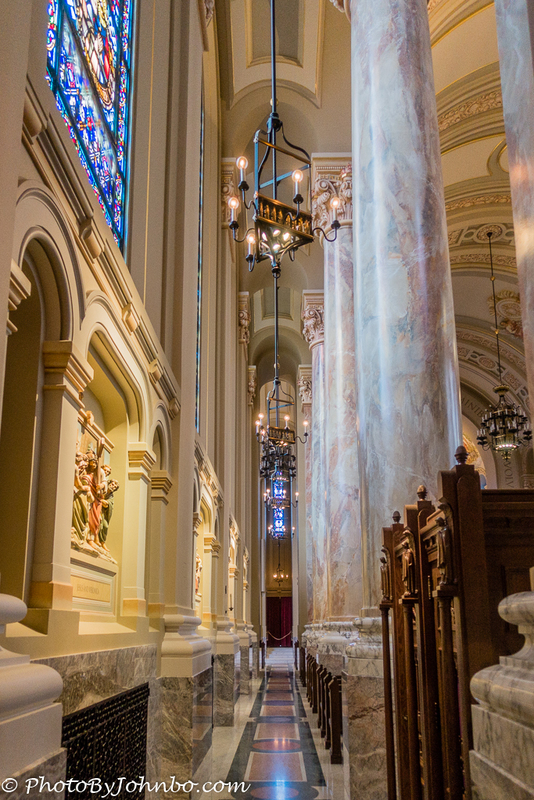 That’s some beautiful lens work… Old Basilica’s are absolutely gorgeous! I was going to check out the Library of Congress, national mall, etc. etc. However the timing with the Kavanaugh hearings was poor as there were angry protestors everywhere, hate shaming old white guys. As an old white guy I went nowhere near all that. This visit. Sorry you missed the LoC. It is quite the place. Save it for next trip… of course, the Supreme Court is next door to the LoC, sort of… you may not get past the protesters. Always something to gripe about!